Journey to Provence, France, and take pleasure in 20 beautiful new quilts that feature all the romance of a time gone by. 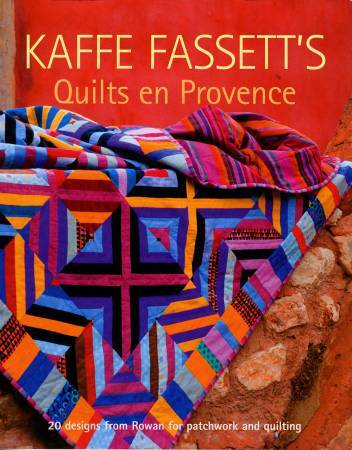 Kaffe Fassett’s Quilts en Provence is a study in geometry and color set in the South of France, where narrow streets and vibrantly hued buildings provide a medieval backdrop. Based on Kaffe's signature line of Rowan fabrics, the pieces have been designed by some of the world’s finest quilters, including Liza Prior Lucy, Pauline Smith, Roberta Horton, and introducing Philip Jacobs, a longtime designer for Rowan who specializes in floral prints. Complete instructions for creating each museum-quality quilt are included along with tips and techniques that Kaffe has gathered in his more than 30 years of experience. Every quilter will treasure this next book from an international quilting celebrity.